Mug Shot Monday – 10 Days in Jail in $5 Million Loan Fraud? Did celebrity worship influence a judge in a ten day sentence for loan fraud? 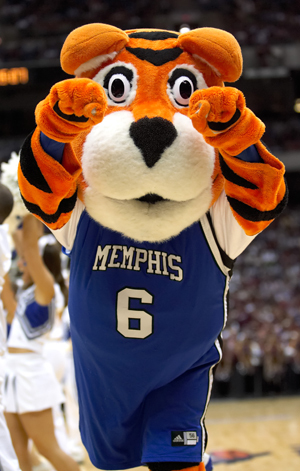 The University of Memphis Tigers basketball game (former) announcer pled guilty to one count of loan fraud last February. U.S. District Judge Michael P. Mills told Roberts that he was giving him as little time in prison as possible for the sake of his children, and also because he has no prior criminal record and has cooperated with the FBI and the U.S. attorney’s office. “You have a big responsibility with four children, and I am more concerned about the children than about you,” Mills told Roberts. Roberts admitted to submitting the fake documents and making false statements to Citizens National Bank to get money from a $5 million loan that his development company, RH Holdings, had taken out to develop Cherry Hill subdivision in Southaven, which was never built. On several occasions in 2008, Roberts admitted, he went to the bank branch in Olive Branch and submitted fraudulent invoices, claiming that the invoices were from Neel-Schaffer, the engineering firm hired by his company to do work at the subdivision. Prosecutors said Roberts submitted 17 fake invoices totaling about $489,000 to the bank for what he and his business partner, Jamie Harris, claimed were for unforeseen drainage work at the subdivision. The bank would then cut checks, which were drawn against the loan, and make them payable to RH Holdings for the work that was never done on the subdivision site.